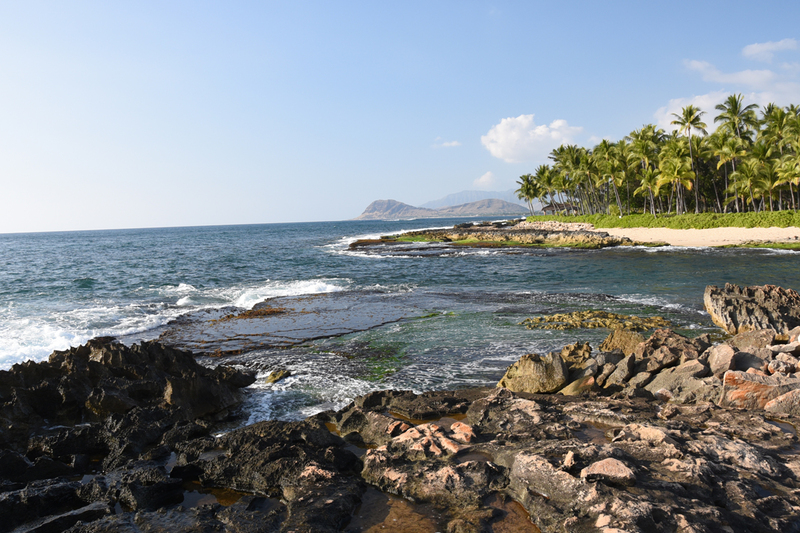 Wonderful view of the West Oahu coastline from Ko Olina. Megan lives close to Ko Olina in nearby Waipahu. 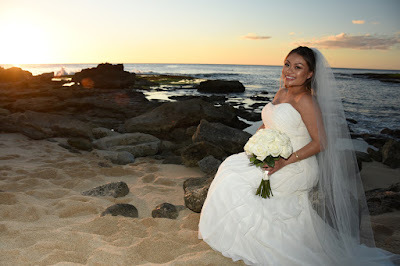 Best beach she could find in West Oahu! 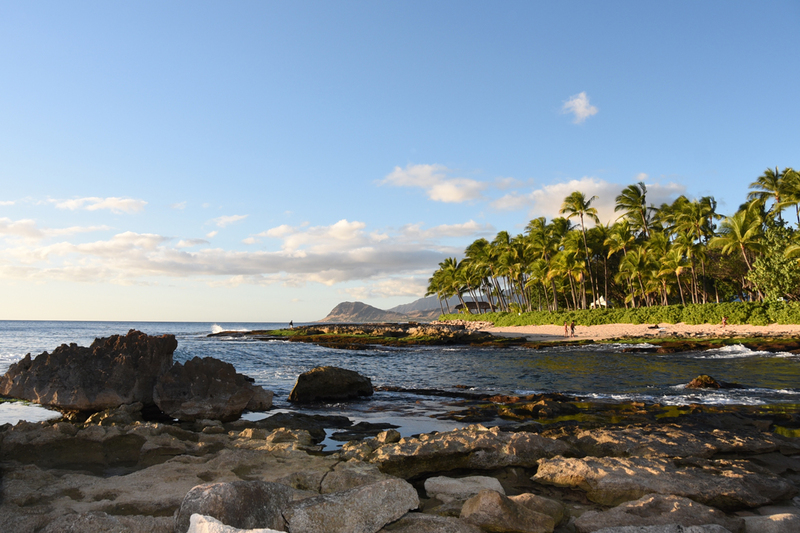 This beach is called "Secret Beach". 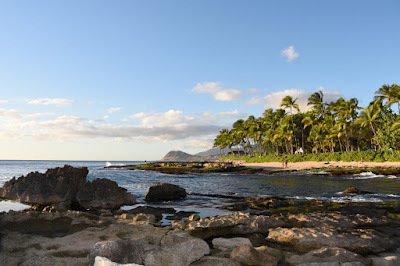 What was a secret is that it is still accessible during hotel renovations if you don't mind hiking around a big fence. It was worth the hike over the rocks to reach this beautiful and secluded beach in Ko Olina! 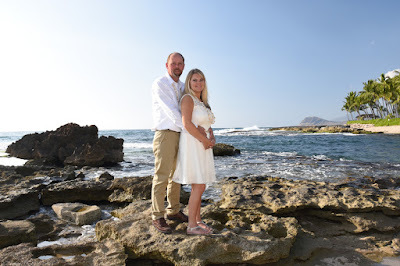 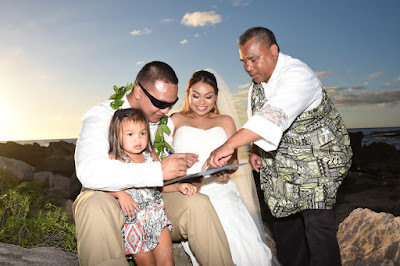 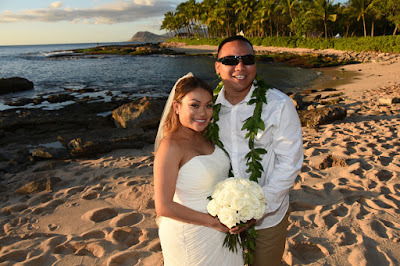 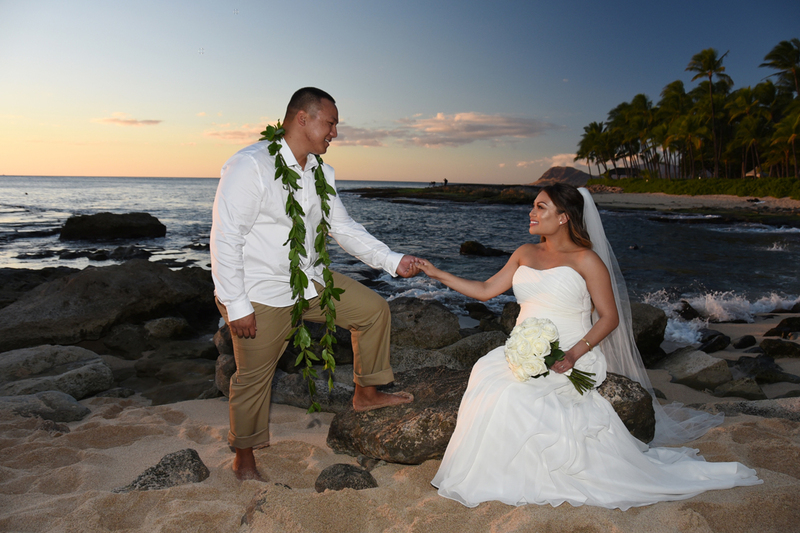 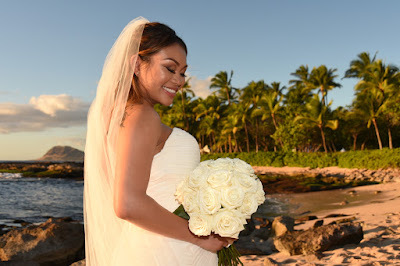 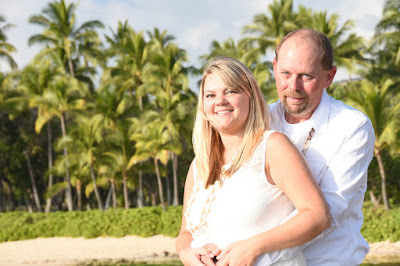 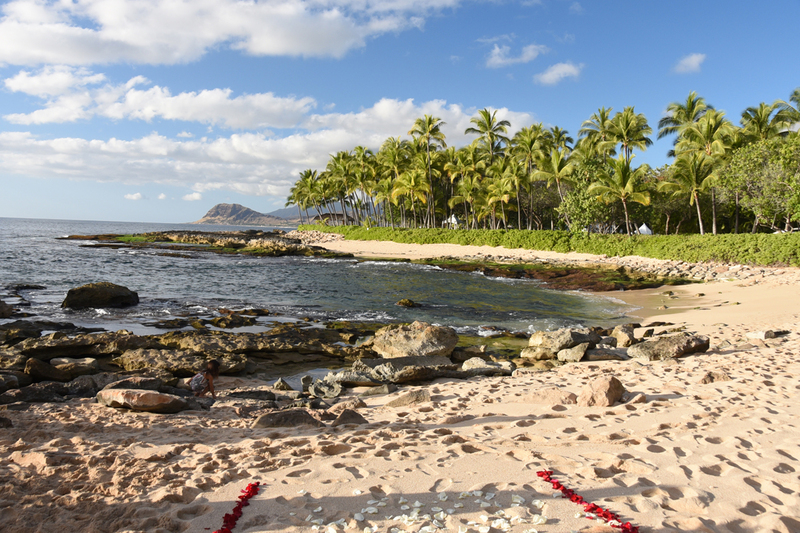 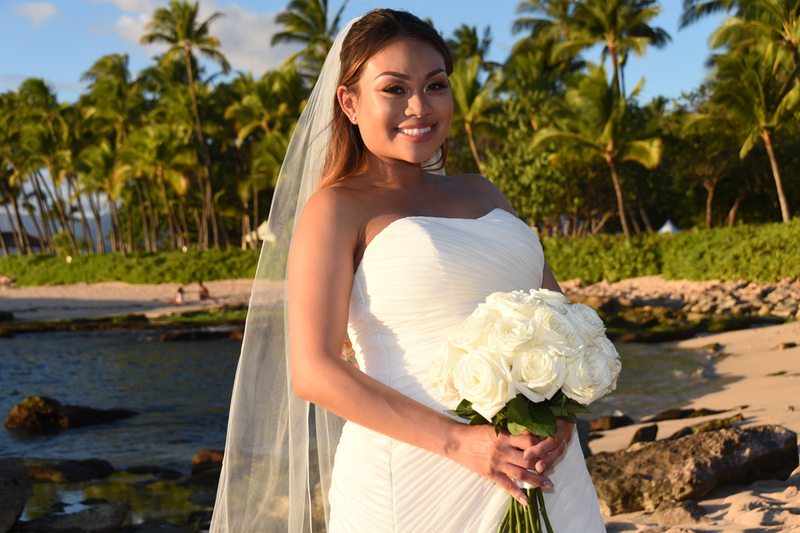 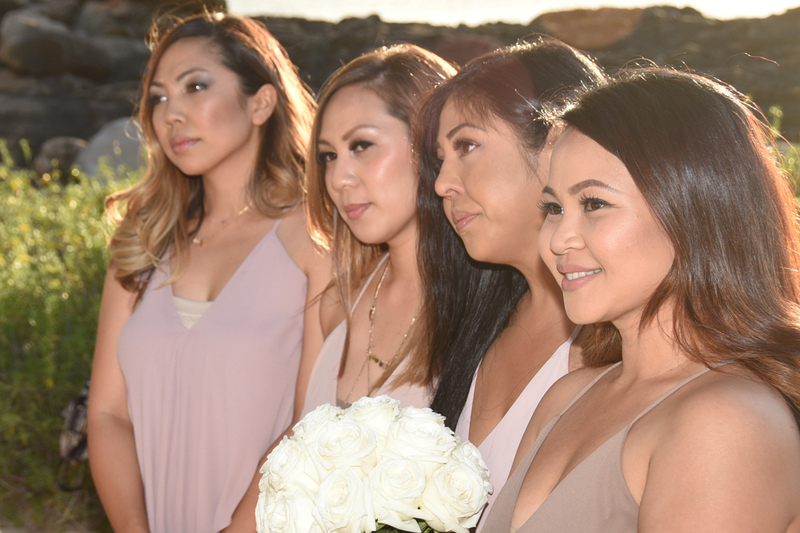 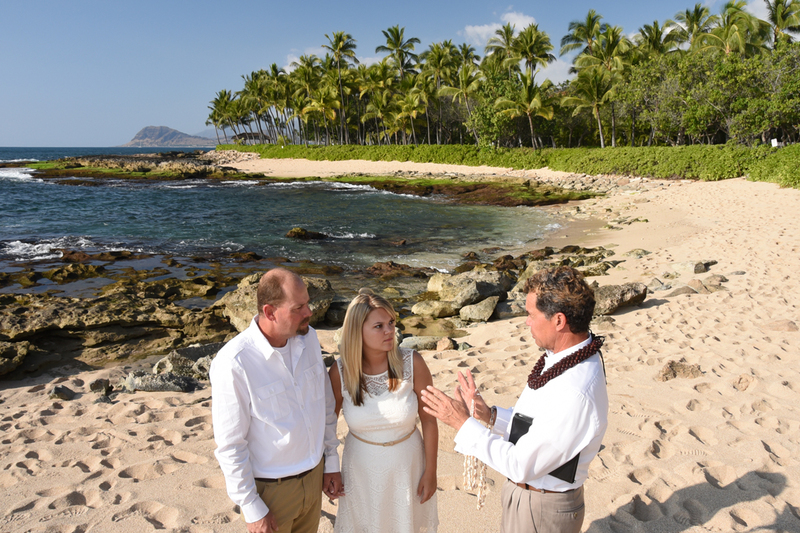 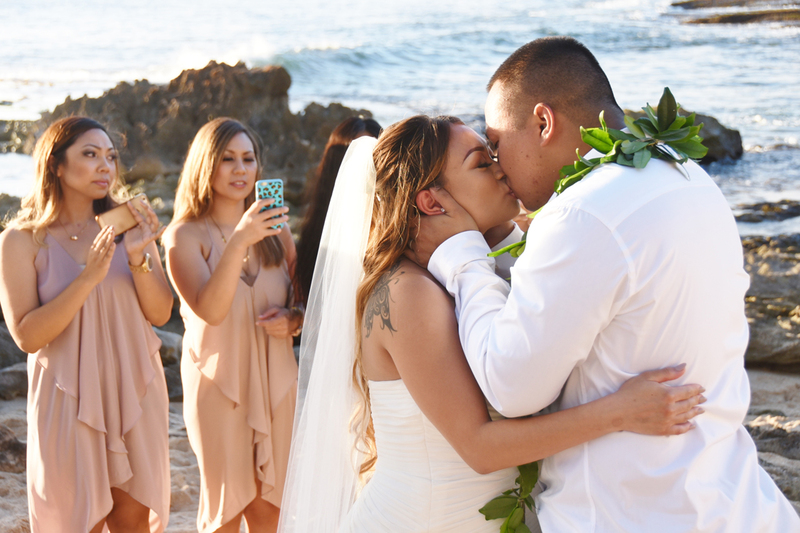 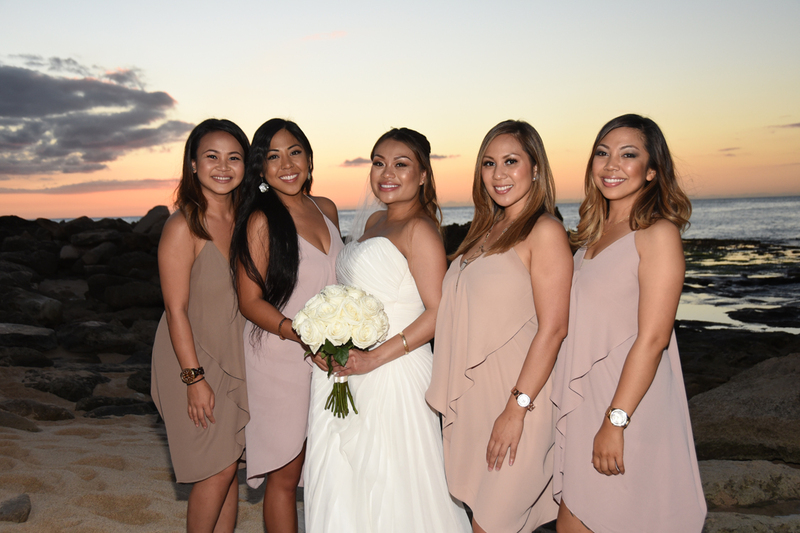 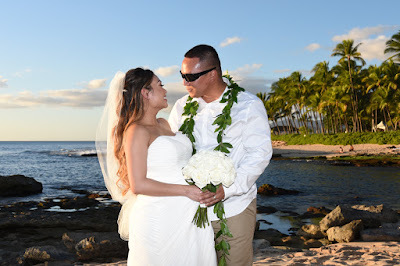 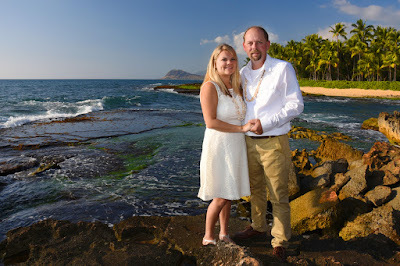 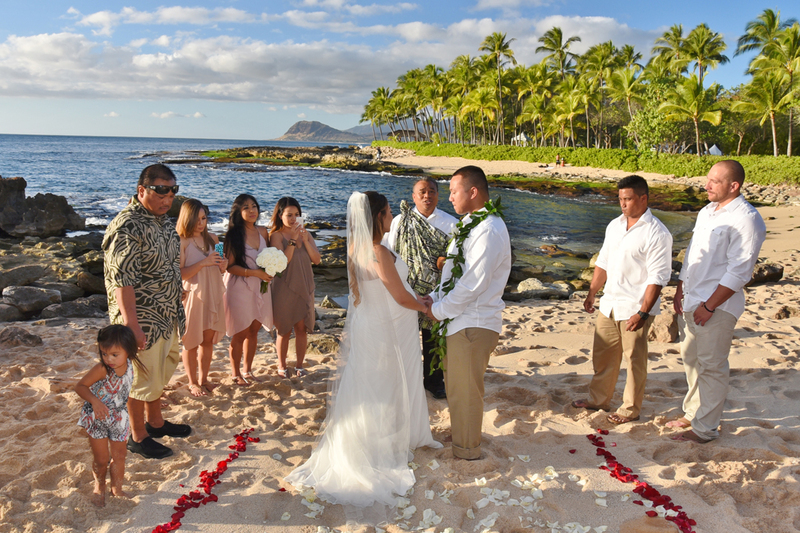 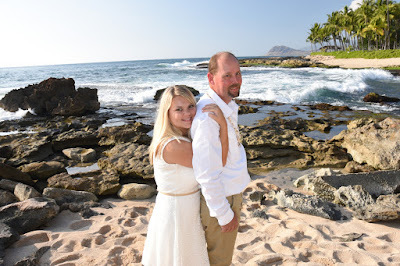 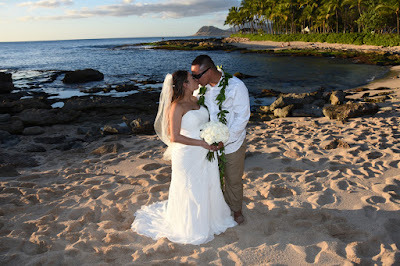 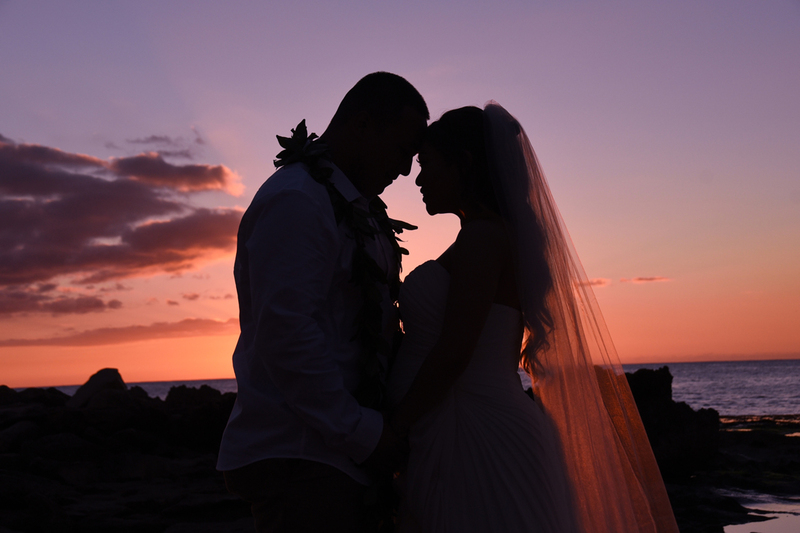 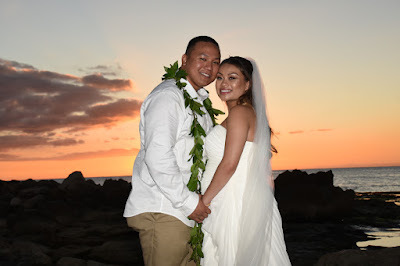 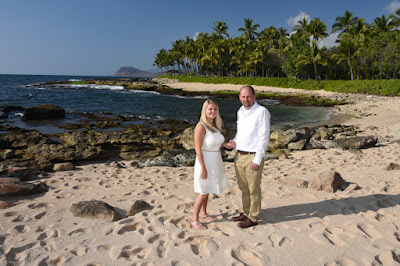 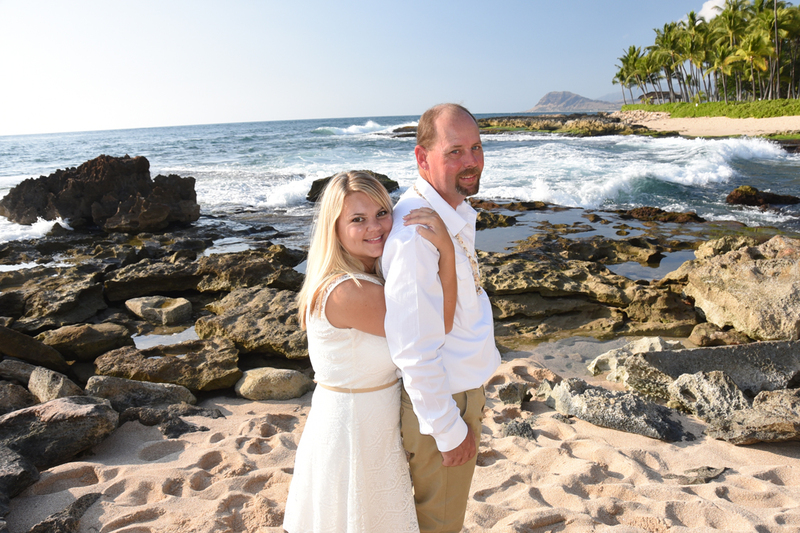 Shanon and Jena getting married at Ko Olina Beach with family & friends celebrating.